Metal caps are very resistant to fracture from impact, and are great for industrial and food applications. Our metal closures are manufactured from either steel (coated with anti-corrosive coating of either chromeplate or tinplate) or aluminum. 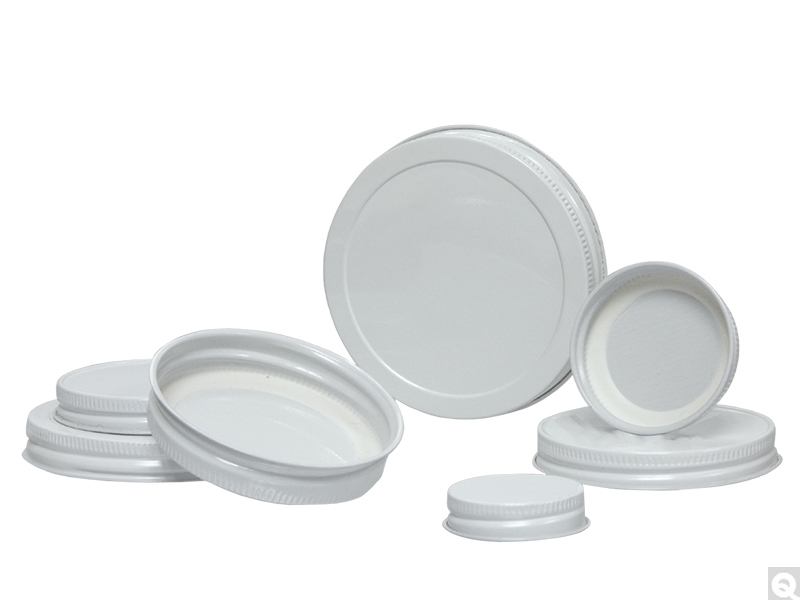 Plastisol Lined Metal Caps and lids offer excellent resistance to mild acids as in food products, and are generally used on glass bottles and jars. Plastisol lined metal caps and lids permit hot fill operations to effectively produce a vacuum seal once the plastisol cools and re-solidifies.